L.R. 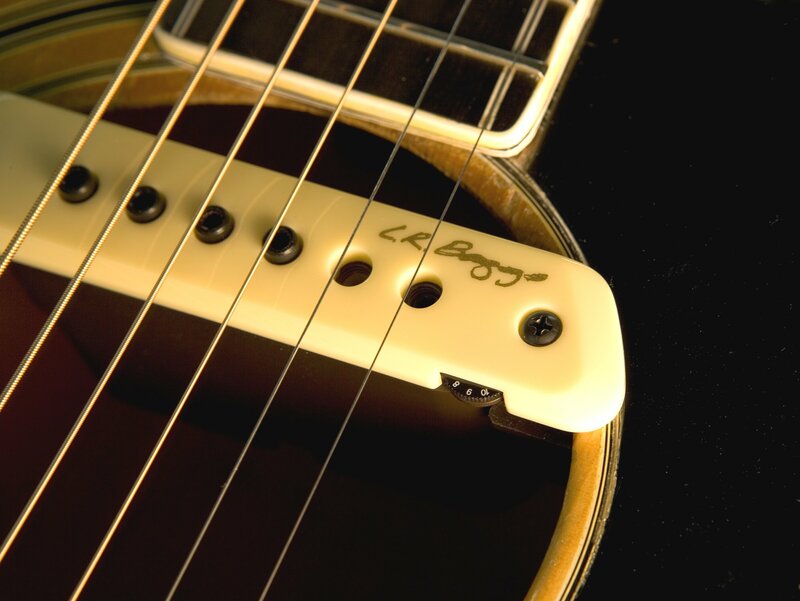 Baggs has been one of the premier manufacturers of acoustic guitar pickups and more for over 25 years. The number of top performers using these products is too long to list, but includes a virtual "Who's who" in the performing industry. This is simply some of the BEST stuff out there. Period. You can call for more information or visit www.lrbaggs.com for information on all their products. Think you know what an internal microphone is all about? Think again. This mic will shatter your preconceptions. This revolutionary new amplification system features patent pending Tru-Mic microphone technology. The mic is mounted to the bridge plate inside of the guitar to capture the majority of your guitar's true voice in a way that only a microphone is capable of - plus it is amazingly feedback resistant. The Element under saddle pickup carries only the lowest frequencies for punch and authority. 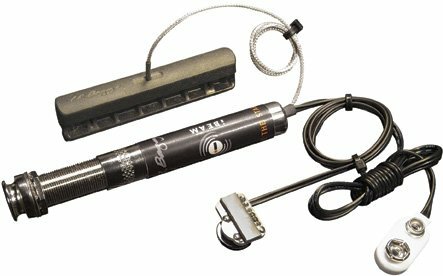 The SL, with a pre-set mix between the mic and pickup and all of the electronics are housed in the end pin, features only a small volume control at the sound hole. It is ideal for non-standard sound hole sizes and for those of you that don't want a larger control unit hanging on the guitar top. Now you can plug in, crank it and sound more real than you ever thought possible. iBeam Active - The iBeam Active System combines patented bridge plate transducer with an all-discrete class A endpin preamp that enables you to simply "plug-in-and-play". 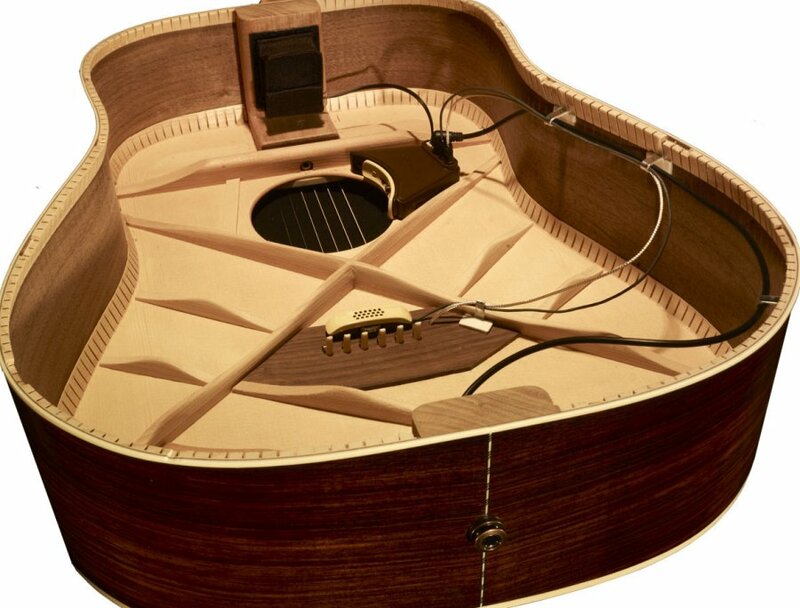 The user-installable iBeam reproduces the natural tone of an acoustic guitar while maintaining perfect string balance and providing full dynamic range. The iBeam itself is the heart of the system and weighs only 1/3rd oz. 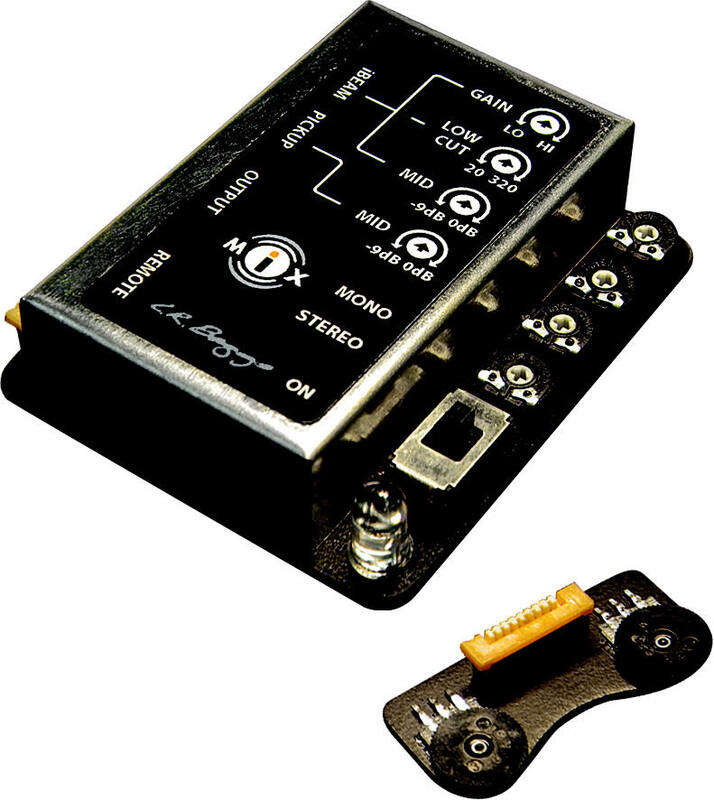 This revolutionary bridge plate transducer easily sticks to the bridge plate on the inside of the guitar and does not affect the acoustic tone of the guitar in any way. The iBeam is microphonic enough to hear the rich (but correct) texture of finger squeak and top tapping, but is resistant to feedback and gives you excellent amplified sound without a hint of piezo quack. Included with each iBeam is a placement jig that allows you to install the pickup in minutes and get the ideal placement for the transducer inside the guitar. Also included is the "Battery Bagg" for secure battery storage. 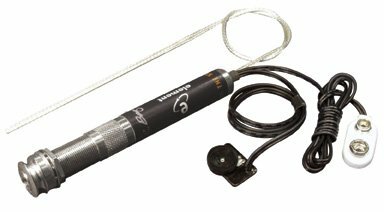 Element Active - Think you know what undersaddle transducers are all about? Think again. The Element delivers performance previously unattainable from an undersaddle pickup. 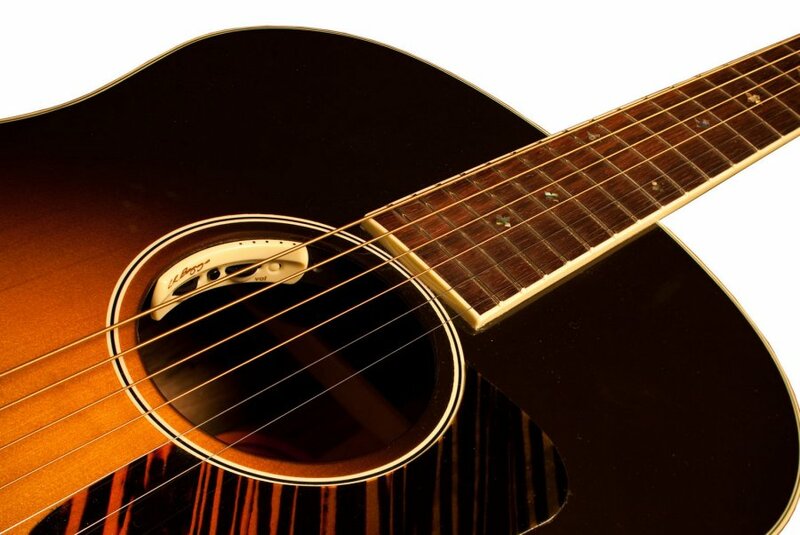 The streamlined and efficient design removes every unnecessary internal component to improve the coupling between the transducer and the guitar. 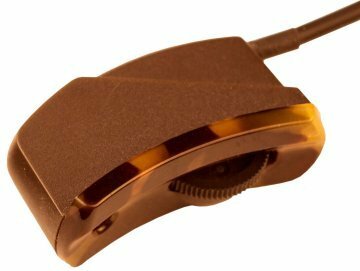 This substantially improves the sensitivity of the transducer for a robust, lively and open sound with great dynamics and a delicate high end. Definitely the BEST standalone mic system I've heard in an acoustic guitar. ...and feedback resistant as well! - Quick and easy installation! LB6 - Bone top Custom made by L.R. Baggs specifically for our company, the bone top offers the same sound and quality as the micarta version, but better responsiveness when unplugged. The bone top is also a significant upgrade in terms of longevity as well. iMix - The iMix combines the award-winning iBeam and the high-performance Element with a miniature all-discrete class A FET preamp/stereo mixer. With the acclaimed fidelity of the iBeam and the presence and feedback resistance of the Element, the versatile iMix is ideal for any venue. And with its adjustable mid contour controls for both the iBeam and Element -- and a low cut control for the iBeam -- perfected tone is available for any guitar. The soundhole-mounted dual controller is a big advantage for stage use. 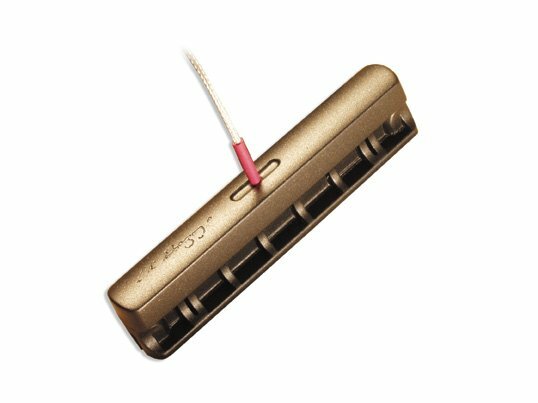 It attaches non-destructively to the underside of the soundhole, and puts master volume and mix controls at your fingertips. M1 Active Soundhole Pickup - The M1 Active takes the M1 Pickup to a new level of performance and convenience. The built-in all class A electronics eliminate the need for any external preamps and makes the M1 Active compatible with any outboard equipment. And the new volume control gives you fingertip access in any performing situation. The M1 is a humbucking pickup -- with a twist. In a common stacked humbucker, the second, lower coil cancels hum, but doesn't contribute anything positive to the sound. In fact, it can muddy the sound of the main coil. The second coil is unlocked and allows it to make a positive sonic contribution while maintaining the pure open sound of a single coil -- but without the hum. In the M1, the hum-canceling coil is suspended under the main coil by a tuned support that allows it to move in three dimensions. The primary coil moves with the guitar top and creates a body signal in the suspended secondary coil. This brings the M1 to life, with string and body sound all in one. It's like having a dual pickup system in your soundhole. Para Acoustic D.I. 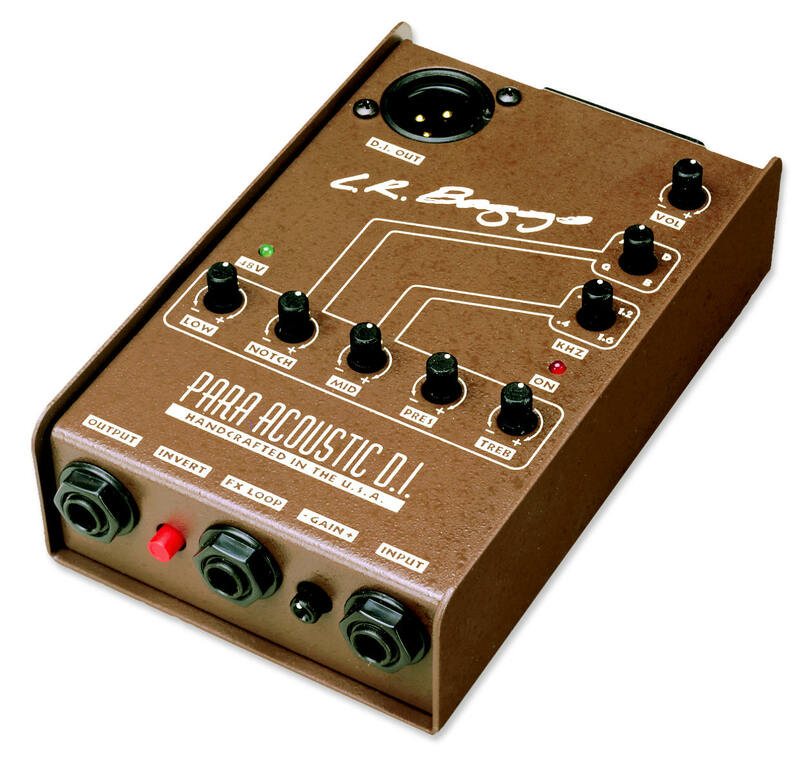 - The Para Acoustic D.I. is a studio-quality direct box, featuring a five-band equalizer with tunable notch and midrange controls, adjustable gain and phase inversion. The proprietary Quasi-Passive EQ circuitry is totally transparent and allows control over voicing without sacrificing tone -- a big advance over conventional equalizers. In short, the Para D.I. Is engineered to bring out the best in any pickup.